Collect Leatherface, Beetlejuice, and Pennywise now as Pop! Pens. This Horror Pop! Pen Display Case includes 16x pens. Breakdown not available at this time. Funko,Horror,Office,Collect Leatherface, Beetlejuice, and Pennywise now as Pop! Pens. 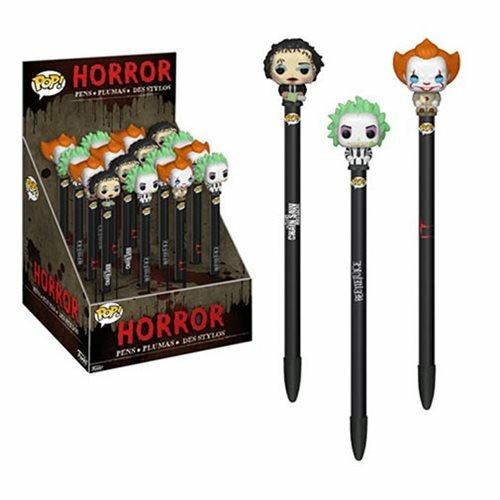 This Horror Pop! Pen Display Case includes 16x pens. Breakdown not available at this time.